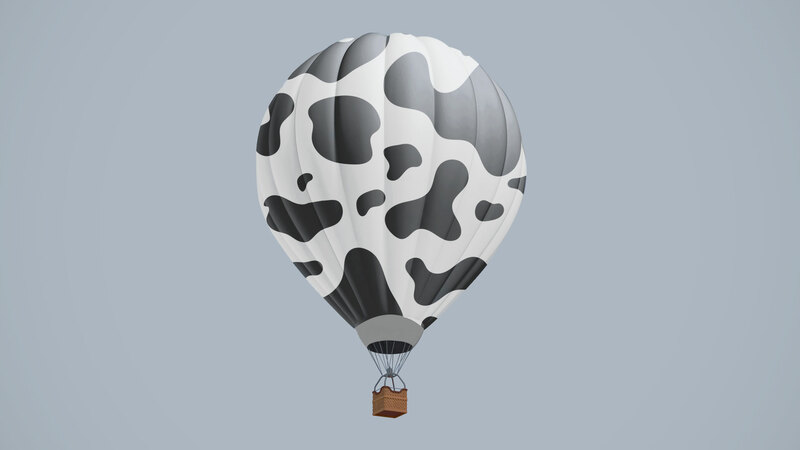 Bovine Methane: Just a Lot of Hot Air? Climate change, global warming and greenhouse gases are subjects that are prominent in the news lately, and most often, the blame is laid on humans. But humans aren’t the only species implicated in our planet’s warming trend. Cattle—both dairy and beef—are also blamed for excessive greenhouse gas production. Estimates of their methane emissions (mostly through belching) range from 3 to 18 percent of worldwide greenhouse gases. This is certainly less than other anthropogenic (human-related) causes of greenhouse gases, including the manufacture and consumption of fossil fuels, landfills and waste management, and even rice cultivation. But in an effort to slow down the increase of greenhouse gases and climate change, governments and agricultural associations are focusing on the methane-laden bovine belches. Is this all just hot air—or is there sound reasoning behind attempts to reduce or eliminate the ubiquity of environmental bovine methane? Or perhaps there are other factors to examine? Today, cattle are routinely fed soy- and corn-based fodder in factory feedlots. In some cases, even cattle labeled as “grass-fed” may be “finished” in a feedlot with high-protein supplements for the last months of their lives to increase fat marbling and weight, which makes for a more commercially viable market product and, since beef is sold by the pound, more money for the producer at sale time. Some point out what seems to be a major benefit to this unnatural setting—these feedlot cattle actually emit less methane than their grass-fed, free-range counterparts. While it is true that cows on a typical protein-rich feedlot diet do emit less methane through belching, there is, not surprisingly, more to the story. The typical fodder used to fatten cattle for the beef market includes corn- and soy-based feed. The soy-based feeds are a byproduct of soy oil production—what’s left of the soybeans after the oil has been pressed out is turned into inexpensive high-protein fodder for livestock. At first blush, this may seem like a good use for otherwise wasted material. Yet it is not a natural food for cattle. These ruminary animals have four stomachs designed to digest forage, such as lower-protein, cellulose-laden grasses and brush. Through this remarkable process, cows turn what is indigestible for humans into digestible food in the form of dairy products and meat. Part of the process involves specific microorganisms in the rumen (one of the stomachs) that naturally emit methane as they break down the ingested forage. The rumen itself is a very sensitive organ, perfectly suited to digesting the natural forage diet of a cow. Too much protein ingested all at once can result in illness and even death. Yet if grain and other high-protein fodder is introduced gradually and is carefully maintained at a regular level, digestion of this fodder becomes possible and the methane-producing microorganisms that digest forage cease. With the influx of this inexpensive protein, cattle growth accelerates. Therefore, the majority of cattle are fed more protein than they would consume if they were grazing on pastureland. When cattle are fed too much protein, the excess is discarded in the form of urinary nitrogen. This unstable nitrogen in large quantities can vaporize (turn into ammonia gas) and contribute to acid rain. That which remains in the soil under feedlot conditions often seeps into groundwater and waterways, feeding an overgrowth of aquatic plant material (hazardous algae blooms) that deplete the water systems of oxygen and result in dead zones where fish cannot live. Dairy scientist Glen Broderick of the United States Department of Agriculture’s Agricultural Research Service (USDA-ARS) in Madison, Wisconsin, determined that if dairy cattle in the United States alone consumed just one percent less protein, urinary nitrogen would decrease by 60,000 tons per year. Most U.S. farmers keep their cattle in a central location and manage the daily eight gallons of manure per cow by hauling it to a different location, usually spreading it on other fields. (Unfortunately, much of the urine remains behind, evaporating as ammonia or leaching into groundwater.) Spreading the manure on the fields does fertilize the soil, adding nutrients like phosphorus and nitrogen. But without tilling it into the ground immediately, these nutrients can run off into nearby waterways and become a serious problem. Daily tilling would alleviate some of the problems associated with runoff, but the time and expense of this additional step is prohibitive—and the fossil fuel used for daily tilling would add to the global warming potential (GWP) load. Mark Powell, an agroecologist who is also associated with the USDA-ARS, spent 15 years studying traditional pastoral societies in West Africa and analyzing how they tend their herds. In that part of the world, commercial fertilizer is expensive—when it can be found. But Powell found that the locals have a better solution. The herdsmen position their cattle to take advantage of their natural fertilization and tilling abilities. As they graze, the cattle drop their manure and urine, and through the course of the day, their hooves trample the fresh fertilizer into the soil. This direct depositing improves the soil dramatically and can nearly double crop yields. The urine raises the soil’s pH level and adds valuable micronutrients as the manure is tilled into the soil by the hooves and weight of the cattle, and the phosphorus and nitrogen from the manure is stored by the soil for use by the next crop. Powell asserts that other farmers worldwide could model this low-tech method of fertilization. Through managed grazing—shifting the herds from area to area before the grazing land is spent—fields can be fertilized more efficiently and with less expense. Could it be that such ancient methods “to tend and keep” the earth addressed in the Hebrew Scriptures could still be useful to us today? (Genesis 2:15, NKJV) More specifically, perhaps the conditions described in Isaiah 30:23 “The food that comes from the land will be rich and plentiful”—is directly related to the next sentence: “In that day your cattle will graze in broad meadows.” This passage certainly seems to reinforce Powell’s findings related to the ancient methods of African herdsmen. Unfortunately, current practice does not seem to reflect this ancient efficiency. Modern science shows that belching bovines, however efficient their natural fertilization methods, are adding significant levels of methane to the atmosphere. Mark Liebig and a team of scientists associated with the USDA-ARS Northern Great Plains Research Laboratory have spent years studying this topic with some surprising results, published in the May-June 2010 issue of Journal of Environmental Quality. The team estimated net GWP for three grazing management systems. Two were native grasslands—one under medium and one under high grazing pasture management—and one was heavily grazed, seeded and artificially fertilized pasture. Their results show that natural grazing lands emit a minor amount of methane gas, but are strong sinks of soil organic carbon and minor sinks of methane. The research team found that net GWP for both native vegetation pastures was negative, implying an overall removal of greenhouse gases from the atmosphere. However, the nitrous oxide emissions from the seeded pasture were nearly three times that of the native grasses. This gas contributed to a net positive global warming potential, implying net greenhouse gas emission to the atmosphere. Dietary manipulation to increase efficiency. Avoiding excess N [nitrogen] in the diet and/or making dietary N more absorbable reduces N excretion. Forage selection and management. Increasing forage quality combined with the management of stocking rates and rotational grazing strategies have been demonstrated to reduce enteric methane emissions. Grazing management methods. Reduced stocking and minimized grazing periods—which reduce compaction through grazing—increase soil aeration and are likely to result in lower emissions. changing from highly intensive, short duration pastures to more permanent grasslands, as well as reduced tillage, can also increase carbon sequestration. These recommendations point to the need to restore natural grasslands through managed grazing techniques, which also restores the natural digestive systems of the cattle. Through natural grazing, the cattle ingest more high-fiber and cellulose forage and less high-protein feed concentrates, resulting in less elimination of nitrogen into the environment. And restoration of the natural grasslands restores natural carbon sequestration (sinks), more than offsetting the methane released by grazing cattle. Comparing results of managed natural grassland grazing (including related bovine methane emissions) with today’s typical feedlot scenario (including reduced bovine methane emissions) shows the overall GWP for grassland grazing is considerably lower than feedlot methods. When one considers how heavily methods that employ typical corn and soy farming practices (the manufacture and application of artificial fertilizers, the runoff or evaporation of excess fertilizers, plus the harvesting, processing and delivery of the feed, followed by the removal and spreading and possible tilling of the manure) contribute to GWP through the use of fossil fuels, excess nitrogen, and destruction of natural carbon sequestration, one cannot help but think that there must be a better way. And perhaps there is something more than just hot air to ancient teachings on this subject—it seems that in this case, at least, the ancient way may be the better way.